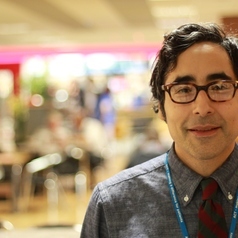 Pablo Monsivais is a public health researcher based at the Centre for Diet and Activity Research (CEDAR). His research interests include the social determinants of food consumption, obesity and health. Pablo is leading a research group to investigate why low socioeconomic status is so strongly associated with less-healthy eating habits and higher rates of obesity and chronic disease. Food costs and other economic factors, social context and neighbourhood patterns of food availability are some of the factors being investigated. Pablo is also involved in research to measure the effects of nutrition and public health programmes and interventions on food consumption and the nutritional quality of the diet. This work also extends to the use of modeling and other analytical approaches to identify cost-sensitive ways of improving nutrition at the population level.